Make a comment under the bundle you like and I will send you an invoice for bank deposit or paypal payments. Credit card is also welcome - just let me know. This bundle of 12 Bali Batik fat quarters makes the top of the Bali Sunset Quilt, with the addition of black sashing fabric and a border fabric. Bundles are $72 + postage. There are 4 of these exact packs available. Hello Anne. 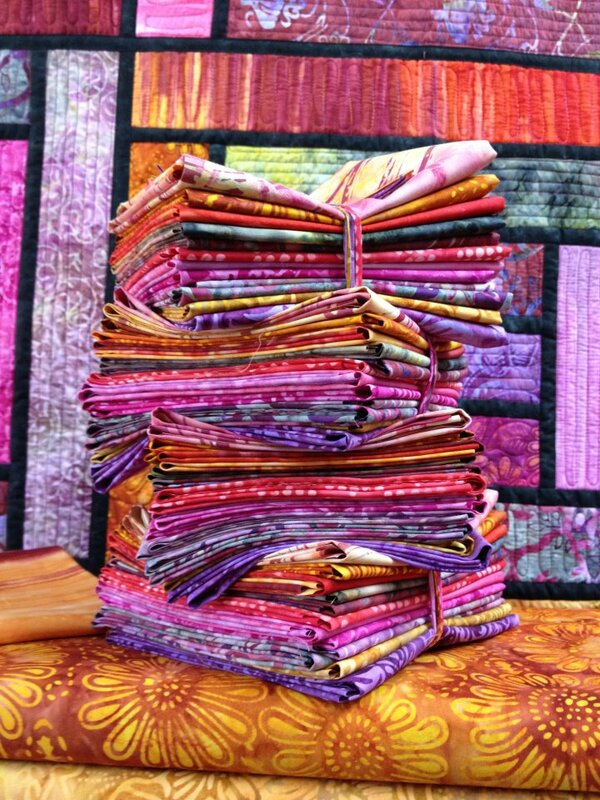 I love the look of these pinks and oranges and would like to order a pack, plus the e-pattern. My email is: auslima@spin.net.au.